Looking for private in-home or in-studio Trumpet lessons? Our Albion teachers are ready to get you started. Find your teacher today! Check out some of our most popular teachers near Albion, RI including Warwick, Providence, Barrington, Westborough and Shrewsbury. A trumpet is a musical instrument commonly used in classical and jazz ensembles. The trumpet group contains the instruments with the highest register in the brass family. They are played by blowing air through almost-closed lips (called the player's embouchure), producing a "buzzing" sound that starts a standing wave vibration in the air column inside the instrument. I begin teaching from the beginning with the very basics of breathing, embouchure, fingerings, reading, notes, rhythms, songs, scales, theory and improvisation. Music lessons should be fun! 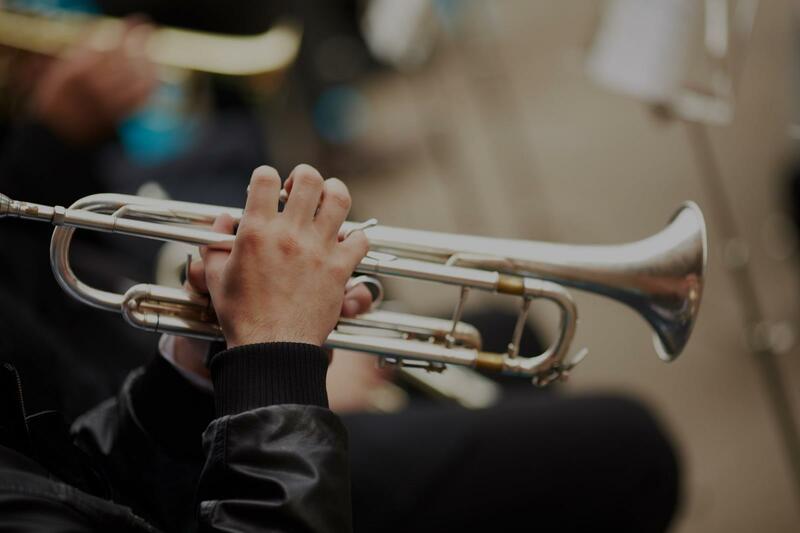 After teaching Guitar and Trumpet for over 10 years to students of all ages, I learned that as a teacher, it's crucial to be patient and flexible. Everybody learns at their own pace, and music resonates with everybody a little differently. While it brings me great joy to share the experience of music making with others, the concepts learned extend far beyond the instrument. Diligence, exposure to culture, and a sense of community are just a few of the rewards received from learning how to play music. Music is the universal language, it allows you to express yourself wherever you go. Through customized exercises, a versatile set of concepts and theories, and an A+ attitude, I hope to teach you how to express yourself freely through music in the most efficient, yet fun way.